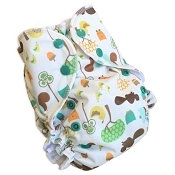 AMP Stay dry AIO's are the easiest cloth diapers ever! These diapers go on and off just like a disposable. Just the right amount of stretch means that baby can move around freely.The super absorbent core is made of 4 layers of micro-fiber for a soft squishy feel and quick drying time. No need for doublers, covers or stuffing. 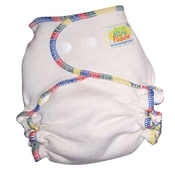 Wrap your baby is this soft, trim, absorbent diaper and your good to go! I bought a couple for my husband to put on our son in the mornings before daycare. 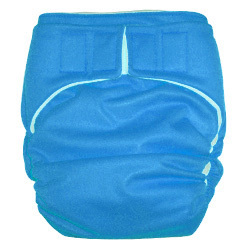 He was resistant to using cloth diapers, but the Velcro closures make the diaper easy to use. Great absorbency too. Though we primarily use prefolds and covers, I tried out a few AIO options when my baby was a newborn, and these were the only ones that didn't leak around her legs. She's really small (around 6 lbs at birth with skinny legs), and these were the best fit for us! With my mother struggling with snaps I decided on a whim that this might be just okay to give a try as I always have a struggle to find something to fit my 17 pound 1 year old around her thighs. I am SO glad I bought this My incredibly heavy wetter can go about 5 hours at night wearing this when she stays with grammie which is just mind blowing to me and it fits those thin legged babes to boot! Ordered a small as I started stocking up on newborn diapers. When it arrived I liked the look of it so much, that I ordered another one for my 2 year old. 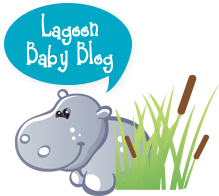 Fantastic diaper and easy to use for other caregivers!! I like this diaper because it is trim and cute, and dries well for an AIO. But... I really wish there was a better gusset. I feel like the liquidy newborn poo frequently escapes around the legs. I bought a variety of cloth diapers before my baby was born. I bought 2 of these in small and found that they fit my skinny legged baby better than everything else, were very trim and my boy was always dry to the touch when it came to changing time. Liked them so much I bought 3 more. Excellent for newborn! 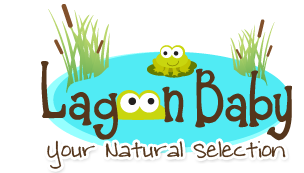 These diapers are trim, absorbent, and easy to use. Only complaint is the laundry tabs don't seem to work great and I've had some cloth diaper chains happen from these. I have 5 large AMP AIO diapers. I bought them after my son started to outgrow his one size diapers. These diapers fit him very well and we have had no problems with leaks. The elastic seems to be of very good quality. My one complaint with these diapers is that the hook and loop does not seem to be the best quality and I think I will need to replace it.